For the first time, Rainbow Trust has joined forces with 200 other charities to celebrate how gifts in wills can changes lives. Taking place on 10-16 September, Remember a Charity Week aims to raise awareness of the importance of leaving a gift in your will to charity. Now in it’s ninth year, the week brings together charities to highlight the importance of legacy giving. The campaign showcases the impact of legacy donations and calls on supporters to consider passing on something wonderful in their will. You can read more about gifts in wills and how they help seriously ill children and their families here. 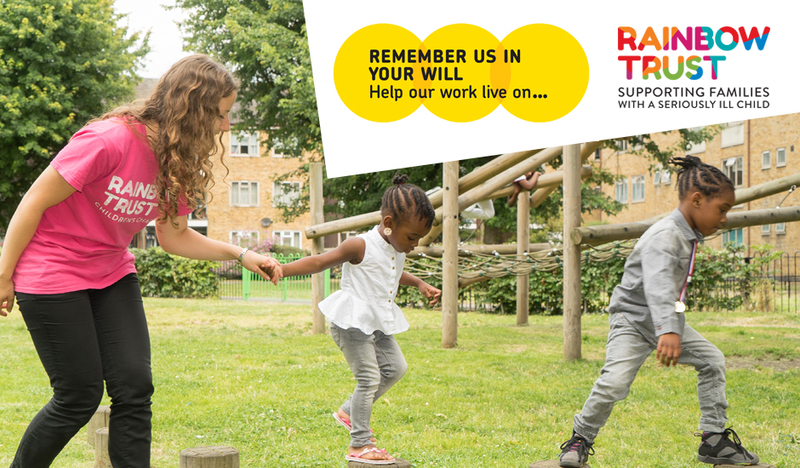 To find out more about leaving a gift in your will to Rainbow Trust, click here or get in touch with our Legacy Manager Jenny-Anne Dexter or call 0372 220085.